Earlier this month, Parkwood E-ACT Academy was awarded exclusive schools’ membership to Music Mark, the National Association for Music Education. Sheffield Music Hub will present the award to subject leader for music, Scott Swallow and music teacher, Sean McGillan at a glitzy awards ceremony at Sheffield Town Hall later this week. Schools join Music Mark by invitation only if they show a commitment to regularly developing their music curriculum alongside a strategy for music which promotes the discipline to all children. And with a creative curriculum and countless methods for getting students enthusiastic about music, this award is undoubtedly well-deserved. Across all years, music lessons are designed to be engaging, focusing less on learning the recorder and more on introducing students to unusual instruments like the ukulele, African drums, and Boomwhackers. Outside of class, students are encouraged to come along during their lunch breaks or after lessons to learn anything from strings to rap skills, or even just to pop in for a jam session. The academy works closely with Sheffield Music Hub to introduce creative ways of teaching music. 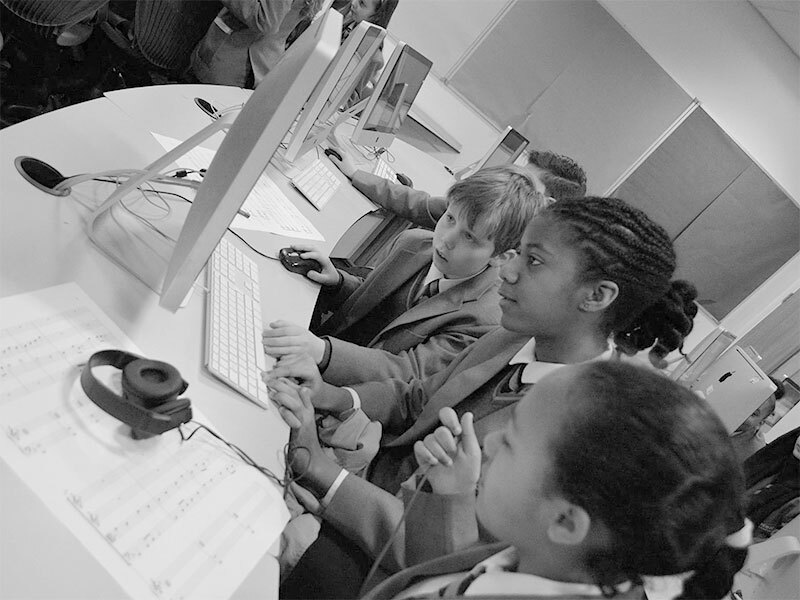 Year 10 students, for example, take part in Ensemble 360, a project in which students are taught how to write a classical composition for a small ensemble or quartet. Students then conduct a group of professional musicians for a performance in a local church at the end of the year, producing a recording of their composition. A similar project takes place in Year 11, with students writing a pop piece to be performed by musicians from the University of Sheffield. For music teacher Sean, there’s no doubt that these exercises push students to work to the best of their ability. And it’s not just Year 10s and Year 11s who benefit from this exciting approach to music: there are dozens of opportunities for students to get involved throughout their time at Parkwood. Students are taken to see inspirational performances by the likes of the Halle Orchestra and Music in the Round, and perform at events like Birmingham Music for Youth and One Sheffield, Many Cultures Festival (where the academy has won awards for the last three years running!). Parkwood also promote music in some of the primary schools in the area, including fellow E-ACT academy, Pathways. Pupils are invited to the academy for lessons on the ukulele and glockenspiel, with lucky pupils from Pathways even given the opportunity to create and record their own album. With such an innovative music curriculum, and so many extra-curricular opportunities on offer, Parkwood staff were thrilled to receive recognition from Music Mark.